In a large skillet, brown ground beef until no longer pink. Drain. 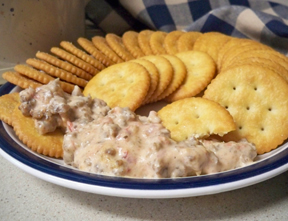 Add 1/2 of the jar of dip, the can of tomatoes, and 1 cup shredded cheese to the meat. Mix the ingredients, adding more if necessary. 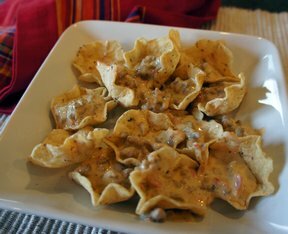 Serve with tortilla chips! Enjoy! !